The Bit-RVC 1516D combines our rugged technology with the screen-size of a standard laptop. An excellent solution both in industrial applications and for vehicle mounting. It comes with a 15.1” XGA, 400 NIT, sunlight viewable touch screen with instant screen blanking feature and 100% dimability. The performance almost equals that of a normal PC. One-piece construction, fully sealed and ultra thin. The milled aluminum case design ensures the ruggedness of the units and the ability to handle temperature extremes. 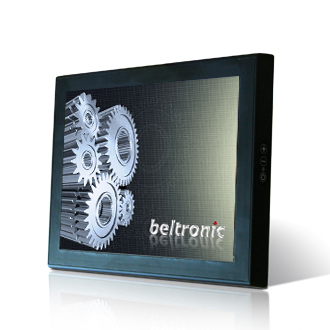 Daylight-viewable display makes using the 1516D easier on bright days - Extremely flexible power range, accepting voltages from 9 VDC to 36 VDC. This allows the Bit-RVC 1516D to connect to all types of vehicles and their batteries. - Multiple mounting options are available.